As planned I’m reviewing the ROHTO Hada Labo Shirojyun Arbutin Lotion. I got this several weeks ago at my local Asian market. At that time my Kracie lotion just ran out but I didn’t want to spend over 20 bucks for a lotion. Also since Spring/Summer season is coming, I need something to keep my skin fair. So I picked up this one. 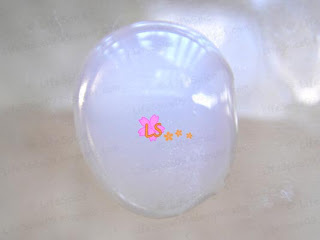 It is the first time I’m using a ROHTO Hada Labo product. They also make the regular non-whitening lotion and moisturizer. The price is pretty affordable for a drug store brand. From what I understand, it says “medicated” and “whitening lotion”. Just what I wanted. The following says on the plastic wrap (I threw away already). Directions: Pat into skin gently after washing. 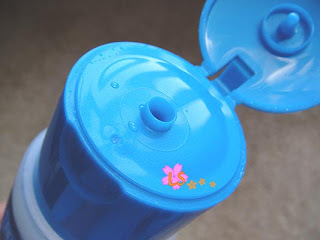 Unlike a typical skin lotion, Shirojyun is not completely transparent. It’s got a bit milky white color. Here I apply it on my hand for testing. The consistency is on the rich side but it doesn’t feel sticky. After pad dry, it does make my skin look more even toned and my skin felt smooth. It’s very inexpensive compared to many other brands. I paid around $18 for 170 ml. Compared to Shiseido’s White Lucent softener $46 for $150 ml, it’s about 1/3 price. The ingredient doesn’t contain alcohol. As we all know, alcohols will dry up our skin even though they make us feel clean. 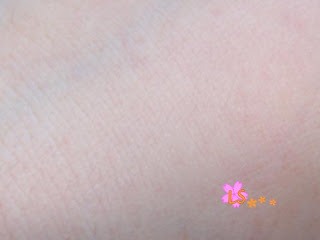 The texture is rich and it’s very moisturizing to the skin. Also the scent free formula is another plus. I’d rather use something with no scent than bad scent or strong scent. I’ve only used it for 2 weeks or so, so I can’t tell whether it works or not (as in whitening purpse). Of course it can’t compare to the department store brands lotion, but it does its job decently. So I think I will probably re-purchase when I run out. What store did you purchase this at? I've been meaning to try more whitening products! 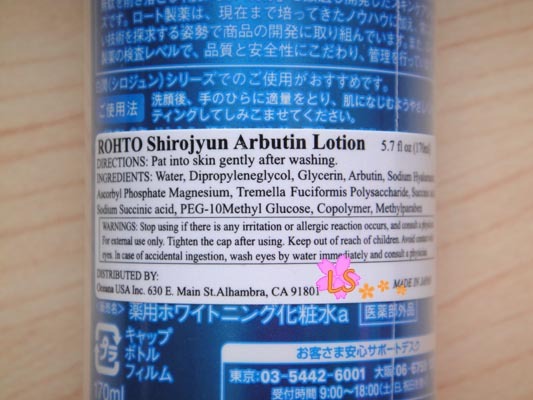 I’m currently using both the SHA and Arbutin Lotion. 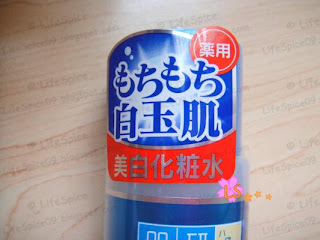 Still prefer the SHA Lotion, it makes my skin smoother and more hydrated as compared to the Arbutin Lotion. thanks for the suggestion! i’ll be sure to check out the SHA lotion! Yes I finished the lotion a while ago. It’s pretty good for its price, very moisturizing with a hint of sake scent.